"Beautiful accommodations and lovely staff." Have a question for Fort House? "Nice room, staff really nice and friendly." "The place is situated on the waterfront which makes for very..."
Situated in Fort Kochi, Fort House is the perfect place to experience Kochi and its surroundings. Only 22.1 km from the city center, the hotel's strategic location ensures that guests can quickly and easily reach many local points of interest. With its convenient location, the hotel offers easy access to the city's must-see destinations. Offering hotel guests superior services and a broad range of amenities, Fort House is committed to ensuring that your stay is as comfortable as possible. This hotel offers numerous on-site facilities to satisfy even the most discerning guest. Guests can choose from 16 rooms, all of which exude an atmosphere of total peace and harmony. Throughout the day you can enjoy the relaxing atmosphere of the garden. Enjoy unparalleled services and a truly prestigious address at the Fort House. "A comfortable hotel on the harbour shore." Fort House is a fantastic hotel and I highly recommend it for its service, hospitality, food and location! We stayed here for just one night which we really enjoyed. The location is very good, in the middle of fort Cochin area and close to all the amenities. Things that stood out in particular for us were the breakfast which was delicious and with plenty of choice, and the complimentary massage we were offered by the manager! Overall a fantastic place which we would recommend to anyone wanting to visit the area! A comfortable hotel on the harbour shore. Very close to the old fort area. Great atmosphere, fabulous breakfast, friendly staff. My husband and I had a very comfortable one night stay at this hotel. It's location is delightful, right next to the waters edge and very close to the centre of the town.. Our room was spacious and clean with good quality bed linen. The staff were pleasant, engaging and very helpful. Highly recommended. Character old style hotel amazing restaurant. Only downside internet was non existent in room & very slow in reception. Spent 2 nights at the property when arrived to Kochi. The room had a rustic and neat charm to it, with the traditional wooden bed frame, large wooden mirror and the coloured concrete floor. The mattress was amazingly firm. The hotel yard and buildings were lovely, the food was absolutely delicious and great value for money. Main seashore area of Kochi, where the Chinese fishing nets and street food vendors are located is only a short walk. This property is good for solo travellers, couples and even for families. Hotel is 10 min walk from Fort area, rooms are clean but basic. We had issues with noise and even cement coming through from building next door during the day. Restaurant is excellent however does not allow you to bring in alcohol. Taxi service from the hotel is double the price for the same taxi if you get an Uber. Pleasant experience but there are some home stays that are cheaper and better value. I really like this place. It's very chill and just nice. The staff are very helpful. No TV in standard room but who needs that in Kochi where all the fun takes place outside anyway. Highly recommend! Good food and Ayurveda massage +doctor. Very nice staff. A bit noisy. Breakfast on the harbour is fantastic. Views, food, and service are all ace. 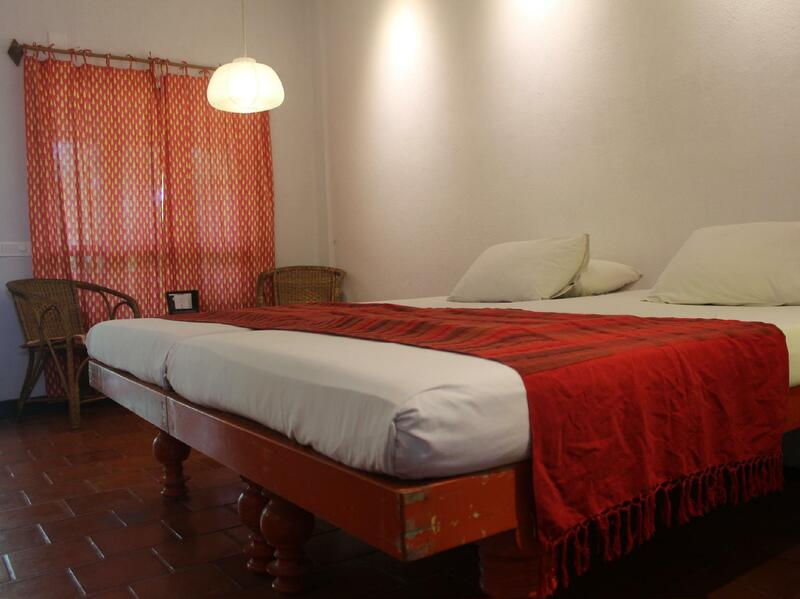 We have stayed in The Fort House on various trips to Fort Kochi. We like it's garden, spacious rooms, terraces & restaurant overlooking the waterfront and its proximity to the main setting for the Biennale at Aspenwall. Although it is unlicensed our favourite bar, when in town Bar Seagull is right next door! Improvements might be new quieter aircon ( we never use it as it's so loud) & a few more choices of drinks in the minibar! A delightful place with uniformly good everything -- rooms, food, service. The place is situated on the waterfront which makes for very romantic atmosphere. It's a busy hotel but always feels serene because of its location. It had money exchanging services on site. The garden is very calming and being by the water feels like a luxury. Rooms are great value, and simply furnished but comfortable and no complaints. AC and Fan. I wouldn't hesitate to book here again. Great location for tourists visit to Fort Kochi in the middle of everything for biennale. Food is fantastic quality and good prices. Service we appreciated but because it's busy waterfront restaurant, and cooked fresh can be little slow. But we had no major issues. Love love this hotel. Massive recommendedactions.